Peanuts are also called earthnuts, ground nuts, goober peas. 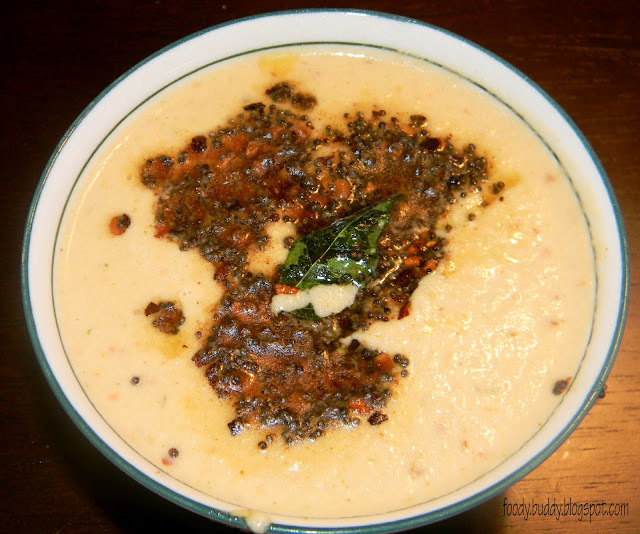 This chutney is Protein rich, very easy to prepare and delicious in taste. Good accompaniment for breakfast dishes like idly and dosa. We are a great peanut loving family.This is my husband's favourite chutney. Heat a pan with oil and fry red chillies, garlic and onion. Keep it aside. 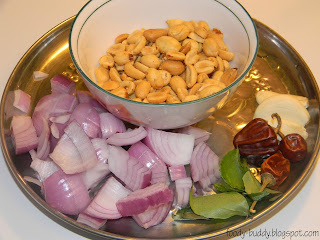 Take a blender/mixie, put roasted peanuts, red chillies, garlic, onion, salt and water. Grind them till you get smooth consistency. Transfer it to a bowl. Heat a Pan with oil and do tempering with " To Temper" ingredients.When mustard starts to splutter, add the curry leaves,asafoetida and turn off the heat. Pour this hot tempering over the chutney and it’s read to serve. 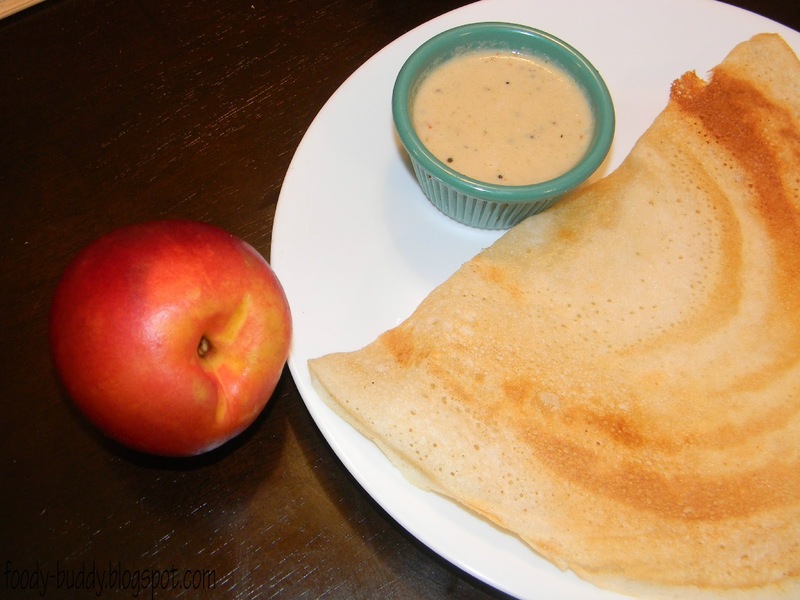 Serve it with Dosa, Idly and Pongal. Adding garlic and onion gives nice twist to the chutney. If you want your chutney to be little tangy, add tamarind to it. Raw peanuts are a good source of monounsaturated fats. Consumption of peanuts reduces cardiovascular disease risk factors. Presence of beta-sitosterol and phytosterols in peanuts plays a role in preventing colon, prostate and breast cancer.